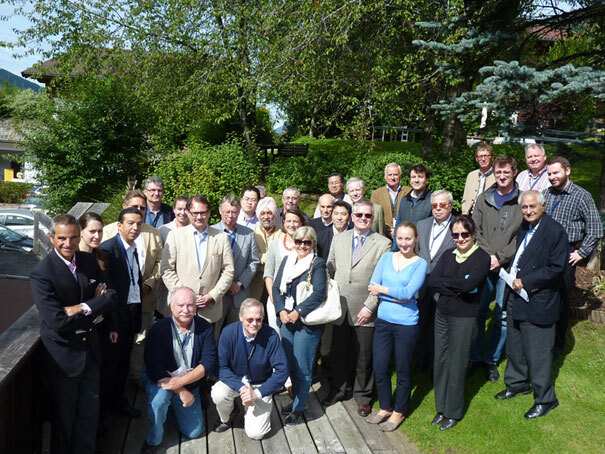 EU-organised retreat assesses future of nuclear power and related non-proliferation issues. At an EU retreat in Alpbach, Austria on 23-25 August, three dozen experts from academia, industry and international organisations assessed future developments impacting the peaceful use of nuclear energy. Held in conjunction with the European Forum Alpbach, the seminar on ‘Nuclear Futures?’ concluded that nuclear power will continue to be a significant part of the global energy panorama, particularly in non-OECD Asia. Nuclear energy can help ensure energy security and meet rising energy demands and greenhouse gas emission targets. While renewable sources will make an increasingly larger contribution, particularly if a way can be found to store solar and wind energy, technological advancements may also help overcome the serious problems associated with nuclear power. Indeed, how to ensure that nuclear power is provided safely, securely and without abetting nuclear-weapons programmes was the dominant theme of the event. Each aspect of the ‘3S’ framework – safeguards, safety and security – was discussed at length, as well as the role of export controls in ensuring the proper use of nuclear-related trade. Following the 2.5-day retreat, several of the participants led a public break-out session at the Alpbach Political Symposium to present an overview of nuclear energy forecasts and the challenges it entails. Three separate units of the European Union joined forces in funding and organising the seminar: the European External Action Service through the EU Non-proliferation Consortium, the Development and Cooperation – EuropeAid Directorate-General (DEVCO) of the European Commission, and the Commission’s Joint Research Center (JRC). Administrative arrangements were handled by the German Federal Office of Economics and Export Control (BAFA) through its DEVCO-funded program on ‘EU-Outreach in Export Control of Dual-Use Items‘.